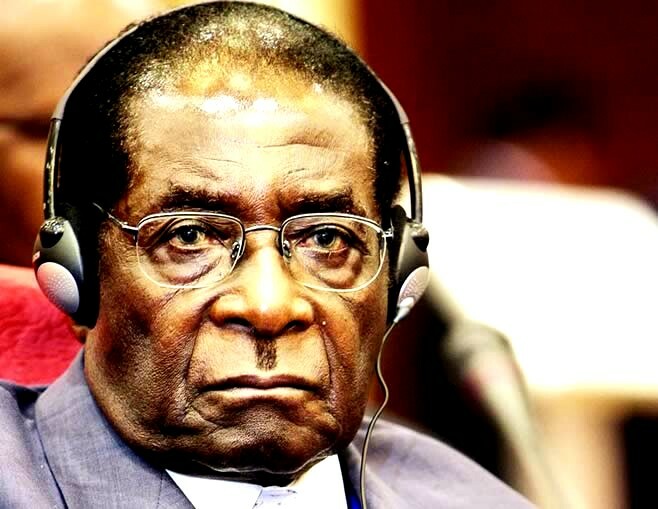 ZIMBABWE – PRESIDENT Robert Mugabe has been judged the most educated African leader by a popular African website which however places him an ignominious third among the continent worst leaders. According to the latest rankings published by AnswersAfrica.com, which focuses on African affairs, Zimbabwe founding leader outshines his younger peers with seven degrees to his name. Among Mugabe academic credentials are degrees in economics and law obtained with South African and London universities. The veteran President, who leads Africa most literate nation, also holds 14 honorary degrees from both local and international universities. Three degrees from international universities have however been revoked. Other African leaders who top the list of the educated are Benin Thomas Boni, who is ranked second with four degrees, Morocco King Mohammed VI (third) and Malawi Peter Mutharika who is number four. But while Mugabe can bask in the glory of topping the list of Africa most schooled, he will not do the same on being rated the third worst leader. President Mugabe has helped bring freedom to Zimbabweans only to get power drunk, and has refused to step down since 1980, reads the site. It is true that his government has recorded commendable growth in some facets such as education, agriculture and GDP growth, yet, Mugabe inadequacies, overshadow his achievements. Mugabe is an odd man when it comes to dictators. He has the illusion of democracy on one hand while he oppresses the white people with the other. The 91 year old tyrant has vowed not to step down despite having ruled the Southern African state for 35 years. Sudanese Omar Al-Bashir and Swaziland King Mswati III were rated first and second dictators. According to the website, Angola Jos Eduardo dos Santos is the continent fourth worst leader while Teodoro Obiang Nguema Mbasogo, a close Mugabe ally, is fifth. South Africa Jacob Zuma, whose country is often viewed a model democracy among African states, is a surprise seventh. AnswersAfrica describes him as a scandalous leader who heads a disgruntled native population still yet to enjoy the fruits of its independence. While further confirming President Mugabe as the continent and world oldest leader, the website is not so kind in comments directed at the nonagenarian. He is so old now that he has a common habit of sleeping off in public sessions or gatherings, reads the site. Recently, he slipped off while walking down a few steps after a speech in Harare. The site also goes on to name Mugabe, among Africa’s richest, as the fifth most famous African dictator of all time. According to the site, Mugabe joins Malawi Hastings Kamuzu Banda who died 1997, Central African Republic Jean-Bedel Bokassa who died 1996 and Uganda Idi Amin Dada who died 2003. Answersafrica.com is a website that collects and publishes information about the continent. Its opinions are formulated through information gleaned from, among other sources, the IMF and World Bank economic indicators. Covered subjects are on politics, business, entertainment, sports and travel, among some interest areas.